How do I update the LM Mode Virus/Malware definitions? 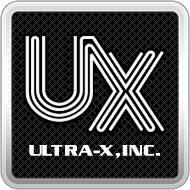 – Ultra-X, Inc.
How do I update the Linux Mode Virus/Malware definitions? If the hardware is supported (driver found for the unit under test), then you can update the malware definitions directly from the UAV application. 2. Click the cancel button to abort the automated scan. 3. The main menu will appear. 10. Once the updates have downloaded and installed, a message will display. 11. Click the close button to close the update window. 13. The scanner will now begin scanning the drive.